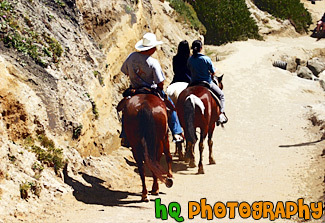 A scenic picture taken of some people horseback riding down onto the beach located at Half Moon Bay in California. 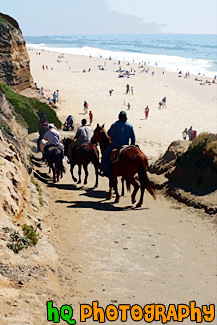 Horseback riding on this beach is a popular and fun activity to do in Half Moon Bay. 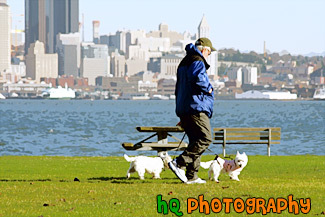 A scenic picture taken of an older man walking two small white dogs along Alki Beach in Seattle, Washington. You can see the Seattle buildings and the Puget Sound in the background. 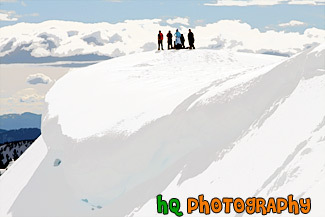 A scenic, beautiful picture taken of people standing on top of a snow cliff near the edge of a snow overhang on a snowshoeing trail at Paradise which is located at the base of Mt. Rainier in Washington State. This picture was taken on a partly sunny day as you can see the sun shining on the snow. 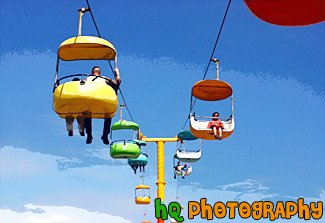 A scenic picture of a sky sit and hang ride located on the Santa Cruz Boardwalk in California. While on this ride you can see an aerial view of the boardwalk and the Santa Cruz beach. 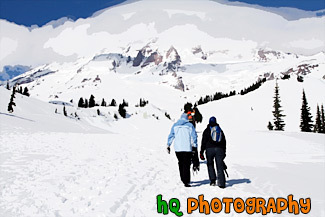 A scenic picture taken of some people hiking in the snow walking right towards Mt. Rainier as it is seen in the background (with clouds covering the top). The trail is located at Paradise which is in the Mt. Rainier National Park. The hikers are carrying snowshoes and will strap them on a little later in the hike. 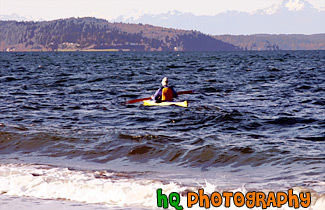 A scenic picture taken of a kayaker in the Puget Sound heading towards the Olympic Mountains in Washington state. 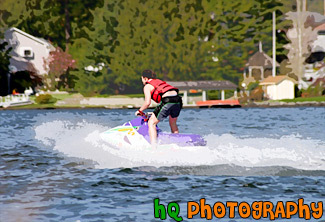 A scenic picture taken of the back of a boy jet skiing in Lake Tapps which is located near Bonney Lake in Washington State. 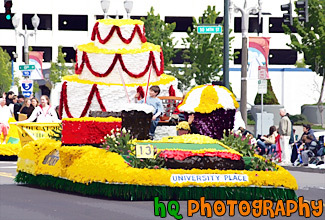 A scenic picture taken close up of a young boy sitting on a cake float located at the annual 2006 Tacoma, Washington Daffodil Parade. This parade is held on Pacific Avenue. 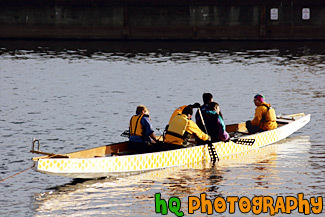 A scenic picture taken of some people learning how to canoe in Lake Union which is located in Seattle, Washington. 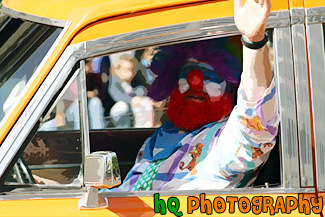 A close up interesting picture taken of a clown in an orange clown car located at the annual Daffodil parade in downtown Tacoma, Washington. 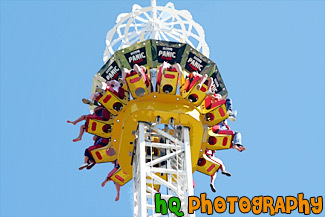 A close up picture taken of the Double Shot ride on the boardwalk in Santa Cruz, California. The Double Shot at the Santa Cruz Beach Boardwalk is 125 feet tall. 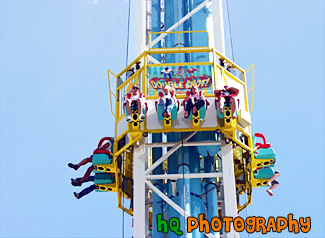 Double Shot riders are launched skywards at more than 3 G's to a breathtaking view of the California Coast and then experience the weightlessness of negative G forces as they are shot back down for the ultimate thrill. 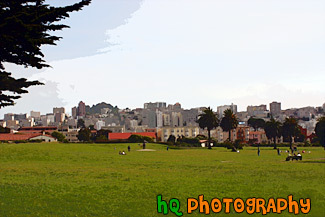 A scenic picture taken of a park in San Francisco, California with lots of green grass to have fun in. 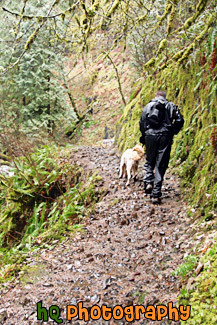 A scenic vertical photo taken of a hiker and dog on a nature hiking trail during the winter season in Oregon State. 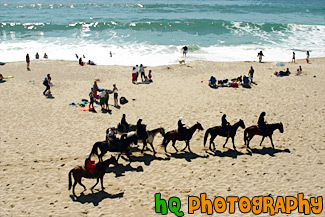 A scenic picture looking down at many people horseback riding along the beach at Half Moon Bay, California. 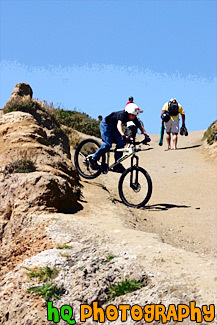 This is a popular activity to do in Half Moon Bay. In the background you can see the waves of the Pacific Ocean approaching the beach. A scenic vertical picture taken of people horseback riding on the beach at Half Moon Bay, California. You can see the horses heading down to the beach and the Pacific Ocean in the photo. 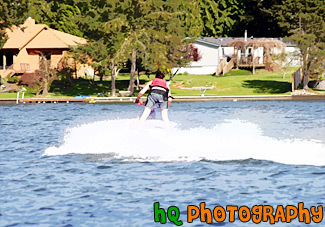 A fun picture taken of a young kid jet skiing in Lake Tapps located in Washington State. This photo was taken on a sunny day. 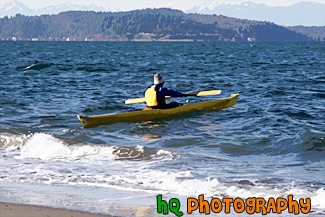 A scenic picture taken of a person beginning to kayak in the Puget Sound of Washington State. You can see the Olympic Mountains in the background. 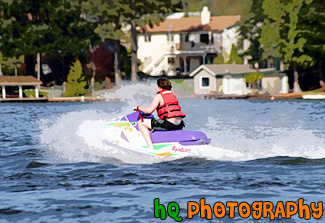 A scenic picture taken of a young boy having fun jet skiing in Lake Tapps on a sunny day in Washington State. A scenic picture taken of a kid riding his bike down a hill located on the beach at Half Moon Bay, California on a sunny day. 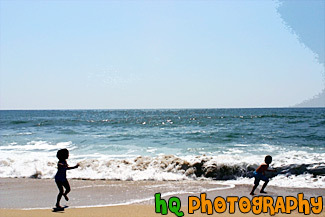 A photo taken of two kids having fun on the beach running away from the ocean waves. This picture was taken on the beach in Half Moon Bay, California on a sunny Spring afternoon. 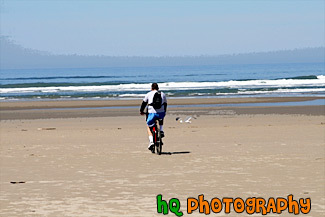 A scenic picture taken of a man riding his mountain bike on a beach located on the coast in Oregon State. You can see the Pacific Ocean in the distance and a seagull flying right in front of him. 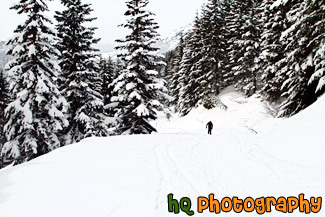 A scenic picture taken of a man with a red stocking cap on snowshoeing up a hill near Snoqualmie Pass, Washington State. A scenic picture taken of a man standing on top of a snowy hill near a snow overhang on a sunny winter afternoon. This picture was taken on a snowshoeing trail at Paradise which is located in Mt. Rainier National Park. 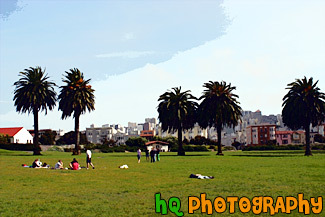 A scenic picture taken at a park in San Francisco, California of some people enjoying the sunshine and kicking a ball on a weekend. 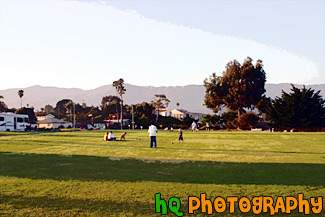 A scenic picture of people enjoying a park located in the beautiful Santa Barbara, California. This picture was taken on a sunny evening as you can see the long shadows laying over the park grass. In this picture you can see people enjoying time with their families and pets. 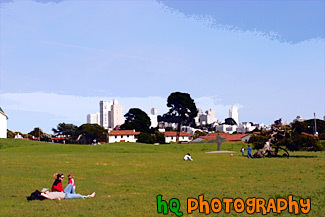 A scenic photo of many people enjoying a beautiful sunny day at a park in San Francisco, California. The park has green grass and 5 pretty palm trees seen. Behind the park you can see some apartments and houses of downtown San Francisco. 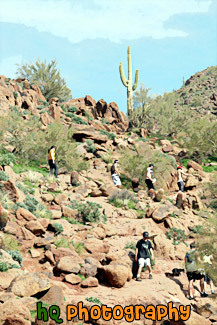 A scenic vertical picture taken of people hiking up a popular hike near Scottsdale and Phoenix, the Camelback Mountain. This hike mostly consists of hiking up and climbing over big rocks. 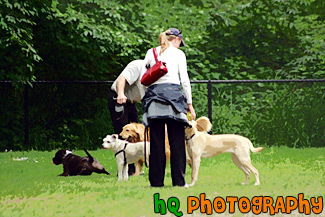 A scenic picture of people playing with their dogs in a dog park. 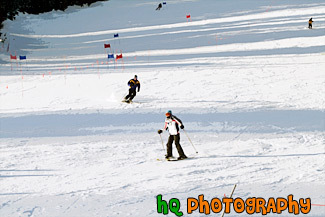 A scenic picture taken of people skiing down Big Mountain in Montana. 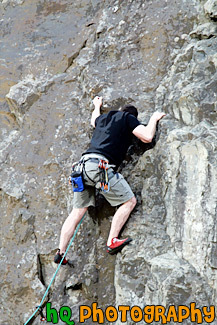 A close up vertical picture taken of a person rock climbing outside. 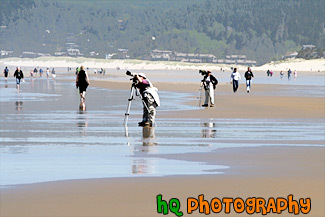 A scenic picture taken of a couple of photographers on the beach photographing birds. 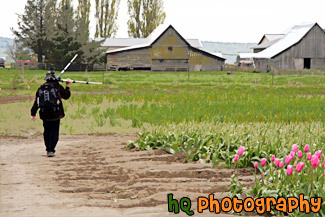 A scenic picture taken of a photographer walking with his camera and tripod resting on his shoulder. A scenic picture taken of a goldendoodle dog and its' owner playing in the snow up in the mountains. 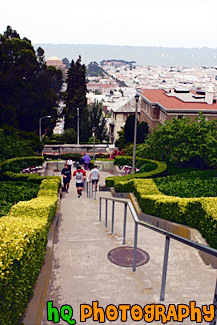 A scenic picture taken of some people running up and down stairs for exercise located in the Presidio of San Francisco, California. In the background you can see the Palace of Fine Arts Exploratorium and the many sail boats sailing in the San Francisco bay. 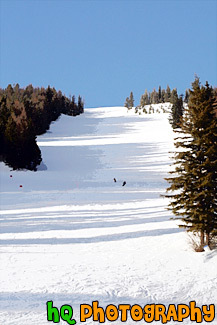 A scenic picture taken of a ski slope at Big Mountain located in Montana State. This picture was taken on a beautiful day with blue sky seen. 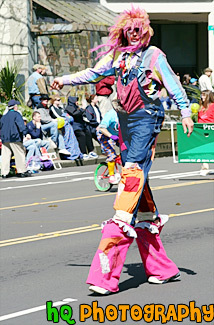 A close up picture taken of a tall decorated clown walking on stilts. This photo was taken at the annual Daffodil parade located in downtown Tacoma, Washington. In the background you can see the people on the sidewalks watching the parade. 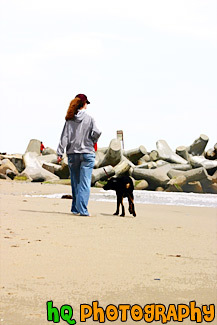 A scenic vertical picture taken of a girl walking her dog along the beach at Santa Cruz, California.